Today only, while supplies last, get this Philips - Viva Collection Analog Air Fryer for ONLY $79.99 (Retail $199.99)! 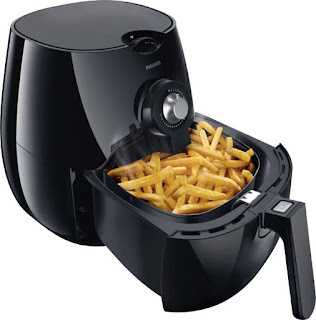 Explore the healthy way to fry with this Viva Collection Airfryer from Philips. Rapid Air technology provides a healthy and low-fat frying process, and because little or no oil is required for cooking, cleaning is easy and quick with minimal odor. This Viva Collection Airfryer includes a recipe book so you can get started quickly.